I am back with a fun kids craft today using FloraCraft® products. 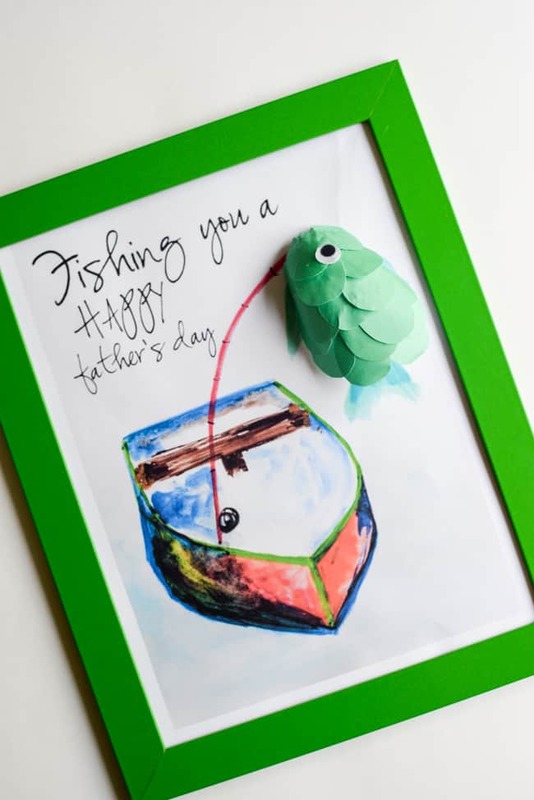 This month’s theme was kids craft and I thought as Father’s day is fast approaching what else could we create than a fun father’s day gift with printable for daddy. This past weekend we went fishing to a local river and we could not have a better weather for it. 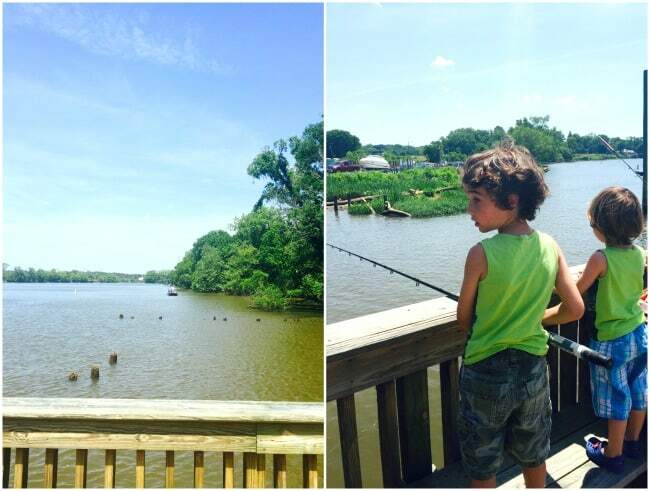 The boys had so much fun to be outdoor and they enjoyed learning about fishes and baits. Now they are at the that they actually can enjoy fishing. 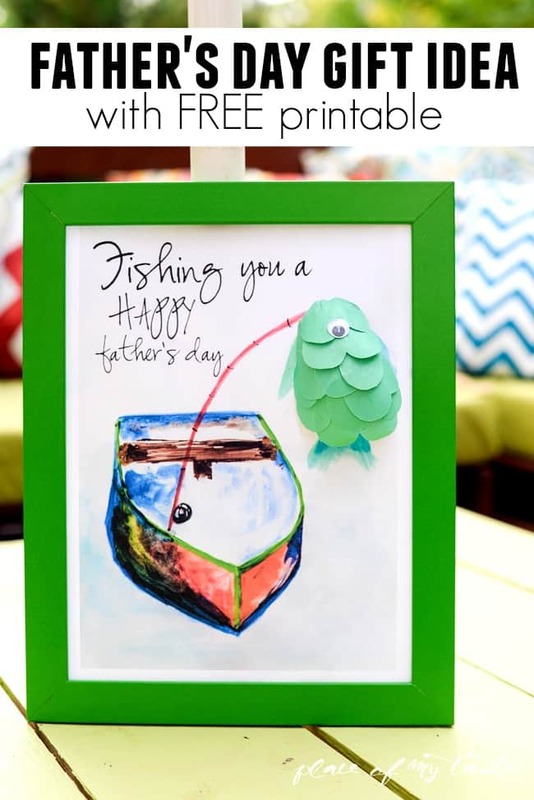 This fun kids craft won’t take but maybe about 10 minutes of your time to tackle and it will make any fisher daddy happy! 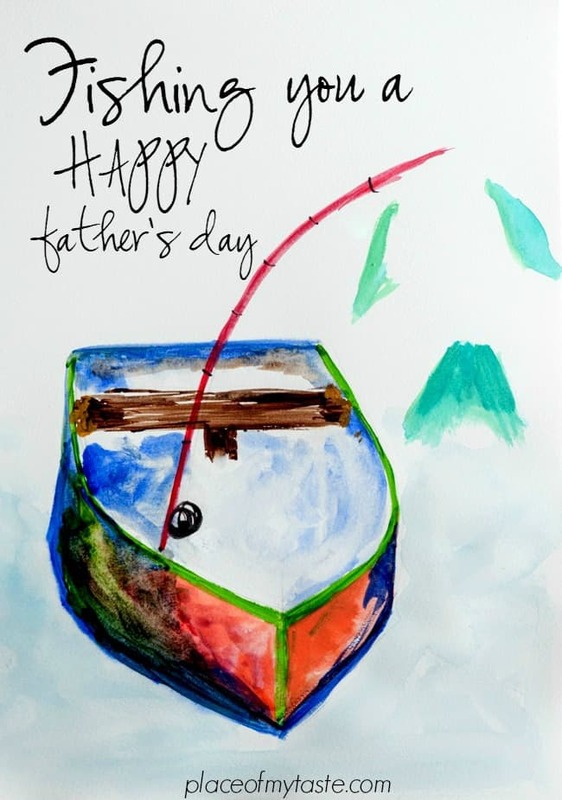 I am offering you this fun FREE watercolor printable that you can use as your base picture. How awesome?? 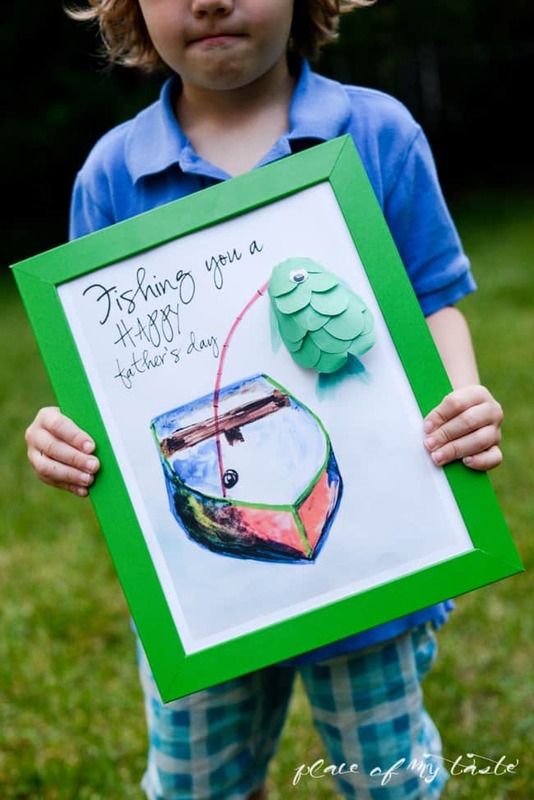 All you need to do is to print the watercolor art and create that cute little fish for your picture with your child. Sounds easy enough? Let’s do it then! I cut the egg shape foam in half and glued it onto the watercolor picture. 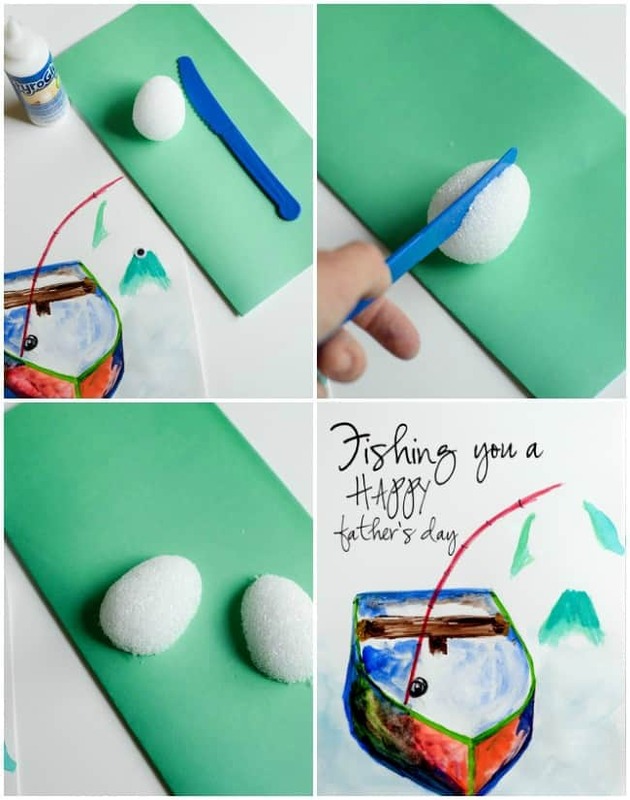 I, then cut out tear shapes from green scrapbook paper and little P glued it on the egg to create the fish’s skin. Once the fish was done we glued an eye for our fish and the picture was ready to go into the frame. If you are looking for more Father’s day ideas check out the Nuts Jar or this fun Healthy basket with Printable. Hope you enjoyed this easy and quick tutorial! What a beautiful, keepsake project, Aniko. Your watercolor illustrations is fabulous, too. Thank you. Thank you Sharon! We had fun creating it for sure! Have a great weekend!